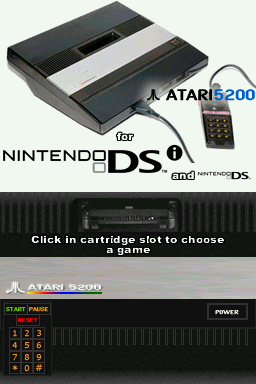 a5200DS is an Atari VCS 5200 console emulator. Put the a26/bin files where you want on your flashcard. That's all, a5200DS can be use now ! to select a file, then use A to load it. 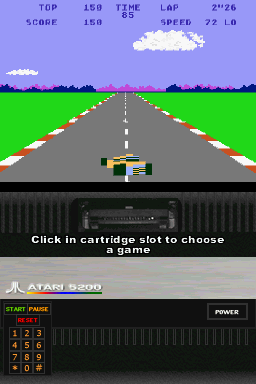 Use stylus on buttons for other actions on bottom screen.